The U.S. Food and Drug Administration on Wednesday released a drastically streamlined application for access to drugs still in testing. The move could have implications for a “Right to Try” bill in the Kansas Legislature that says terminally ill Kansans may access those drugs without applying to the FDA. Proponents of the bill say that the current FDA application process can take more than 100 hours for a physician to complete, which makes it difficult to find doctors willing to do so. In a post Wednesday on the FDA Voices website, Peter Lurie, the agency’s associate commissioner for public health strategy and analysis, said the new application should take 45 minutes. The new application is two pages long. It asks for the patient’s initials and clinical history, the proposed treatment plan for the drug requested, a letter of authorization from the drug manufacturer and information about the applying physician, including his or her educational and professional credentials. The FDA also proposed adding an “emergency” application process that can be done over the phone by a physician and an agency representative. The FDA has provided an “expanded access” program for people with serious or terminal illnesses to obtain investigational drugs since 2010. Use of the program jumped last year to 1,873 people — a record high. The agency has accepted all but 33 of the 5,995 applications submitted in the program’s history. The new application has been submitted for public comment but is not final. Meanwhile, Kansas’ Right to Try Act remains in the House Health and Human Services Committee, where it awaits a vote after a hearing last week. Rep. Brett Hildabrand, one of a trio of conservative Republicans who co-sponsored it, said he applauds the FDA effort to streamline the application process but will continue pushing the state legislation to circumvent the process. “I obviously still want to see us progress here in Kansas and look into how the two methods can match up,” Hildabrand said. Rep. John Wilson, a Democrat from Lawrence, said he wanted to look into the FDA changes, which might make it prudent to wait before voting on HB 2004. Legislators heard emotional testimony Thursday from an Emporia woman about a bill to allow access to drugs in preliminary federal testing. They also heard questions about whether the “Right to Try” legislation is sound policy or an ideological quest that will give terminal patients false hope. Versions of “Right to Try” have passed in Missouri, Colorado, Arizona, Michigan and Louisiana. Missouri residents who have exhausted conventional disease cures will have access to experimental drugs under legislation signed on Monday by Gov. Jay Nixon. 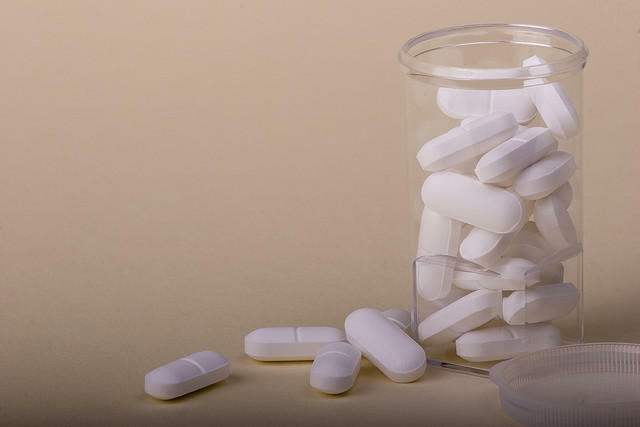 The so-called Right to Try legislation gives patients and their doctors the ability to procure drugs that have yet to gain approval from the U.S. Food and Drug Administration if the pharmaceutical manufacturer agrees to provide the product. If you were dying and had exhausted all conventional treatment options, wouldn’t you want immediate access to a drug that might prove to be a miracle cure? That’s the promise of legislation that, if signed by Gov. Jay Nixon, would make Missouri the third state in the country - after Colorado and Louisiana – to enact a so-called “Right to Try” law, which aims to get investigational drugs into the hands of terminally ill patients as quickly as possible.